The architectural series kept Claude Buckl very busy as this fine Carriage Print of the South Portals of Primrose Hill Tunnel clearly demonstrates. 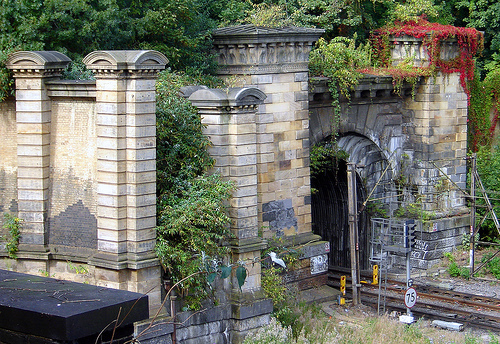 Primrose Hill Tunnel was London's first railway tunnel to Euston station and the first tunnel nationally, and probably internationally, to treat one of its portals architecturally. Photo of South Portals entrance. Railway tunnel on the London Euston line.